Events & Classes - Welcome to KFMB! Saturday, April 13, 2019, at Flower Mound High School. Join us for our monthly work day as we pick up trash in the area of 2499 & Lakeside Parkway by Home Depot. We will meet at Home Depot in the Northwest side of the parking lot and spread out from there. Our cleanups are the third Saturday of each month. If you know of a trashy location that needs attention, please let us know. 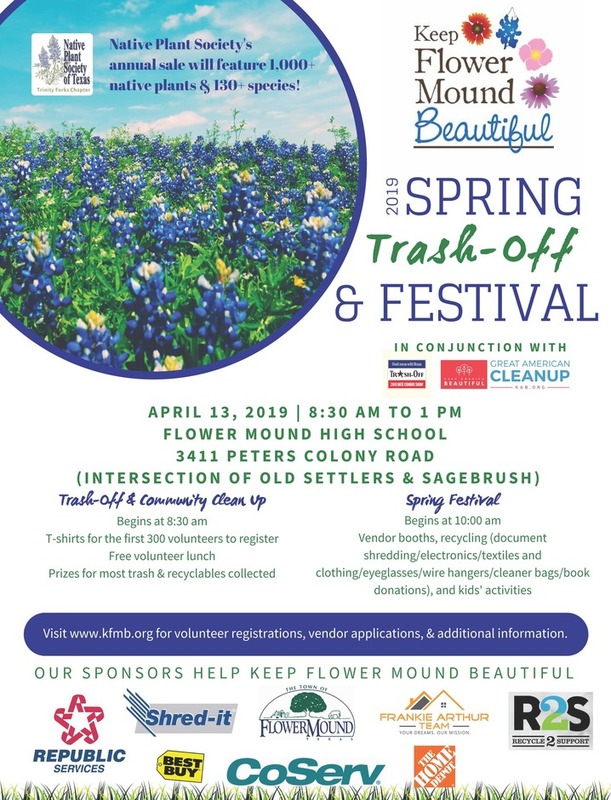 And please join us; you can earn honor society hours, community service hours, or just enjoy the outdoors as you help Keep Flower Mound Beautiful. This class provides the required education to become a Master Composter. Vermiculture (worm composting) is included. This class is also available to groups (scouts, schools, etc.). 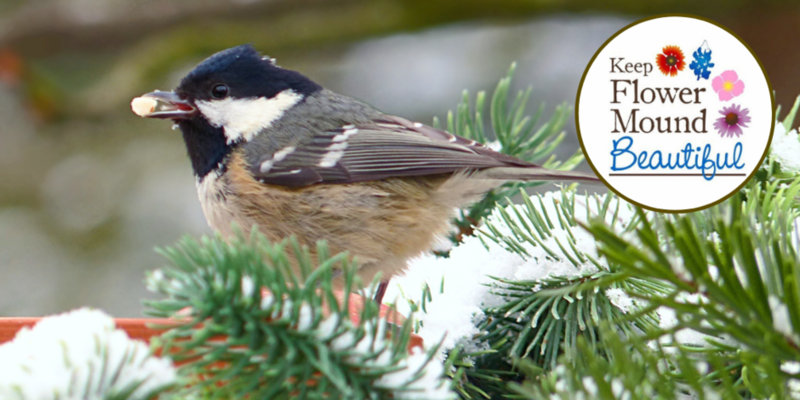 Please contact us to arrange a date and time that accommodates your group schedule. New Volunteer? Click here for a copy of the Volunteer Release Form, which must be signed and returned prior to participation.